Sourcing images for websites is a tricky and time consuming businesses. The worse thing you can do is go to Google, find and image you like and download it and upload it to your website. It is not rare that the copyright owner will find you and request payment for the use you ‘stole’ from them. Companies like Getty Images do this on a regular basis, and their fees are high. Also, you can’t even blame your web designer, as you are responsible fir your website, so if your web designer uses stock images for you, you better check he has the rights to do so. The best thing, always, is commission your own images. Your own genuine images on your website convey a much better image of your business than stock images. 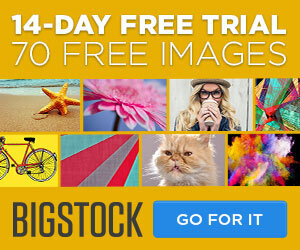 So you came here looking for free stock images, and one of the best ways is to sign up for a free trial with a major stock image company. Once your free trail has expired, if you don’t want to continue then here are some sites that offer free stock images, I can’t personally warrant they are really copyright free, but I would hope so, but do double check. I hope the list is helpful. Please leave comments on the comment form if you discover any more or have issues with the above list. I needed to do this as a wanted a secure place and the default location was giving me problems. And then move the files from old place to new, FTP will do fine. Then you need to update the database to change the location of the old files. You can use PhpMyAdmin if you have it. Note by default Gravity stores uploads in month folders, so you may have to iterate through several months, and you may have to deal with the odd duplicate file if you are combining into one folder. Obviously, not just apply the code above without thinking about the path names etc as it won’t simply work copying and pasting. You could extend the filter to user date(‘y’) and date (‘m’) to replicate the folder structures, but I’m not sure if Gravity will create new folders or you would have to code a bit like this, as I haven’t tested it. This video shows you how to add hyperlinks to WordPress Pages & Posts. I am often asked, ‘can I add a link’ to my WordPress website. And the answer is it is very easy. It is simply a matter of highlighting the text, clicking on the link icon on the editor bar and putting your link in.